TOPTICOM’s TXFP-10G-LR Small Form Factor 10Gb/s (XFP) transceivers are compliant with the current XFP Multi-Source Agreement (MSA) Specification. 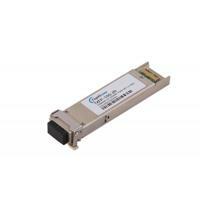 They comply with 10-Gigabit Ethernet 10GBASE-SR/SW per IEEE 802.3ae and 10G Fiber Channel 1200-Mx-SN-I.Digital diagnostics functions are available via a 2-wire serial interface, as specified in the XFP MSA. We design,develop,manufacture and distribute the optical modules to satisfy customer's need for optical communication in Ethernet,SDH/SONET,Video monitor,etc.